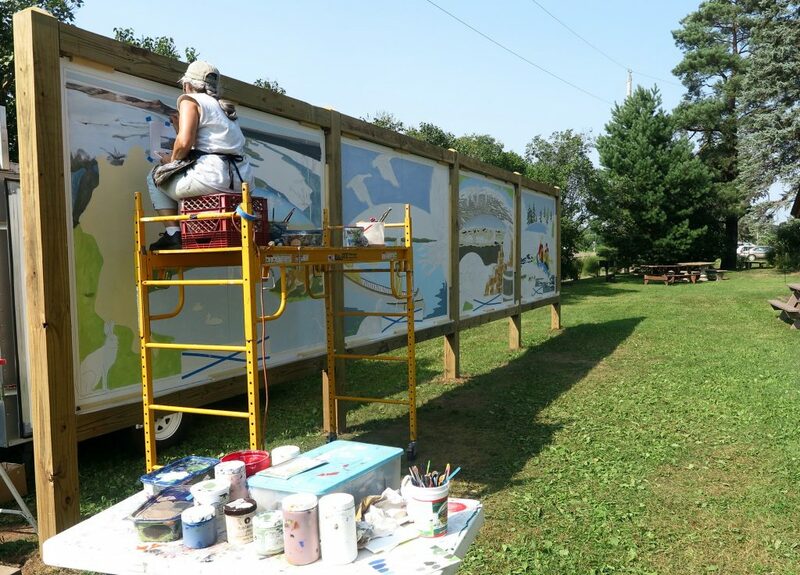 Carole Bersin makes progress on the huge Kettle River Watershed Mural she is painting for a permanent installation in Sandstone Train Park near the Gazebo Bandshell. 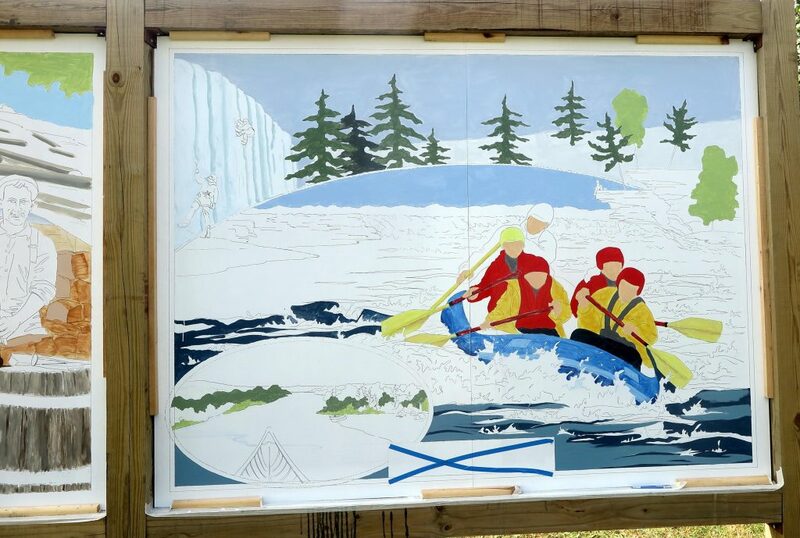 It’s an amazing work, taking Sandstone from the Ice Ages through the lives of the Ojibwe/Chippewa/ Anishinaabe people, through logging and fur trade days to the quarry period and to the present day of whitewater kayaking and rafting, ice and cliff climbing, music and arts that make Sandstone such a wonderful town. 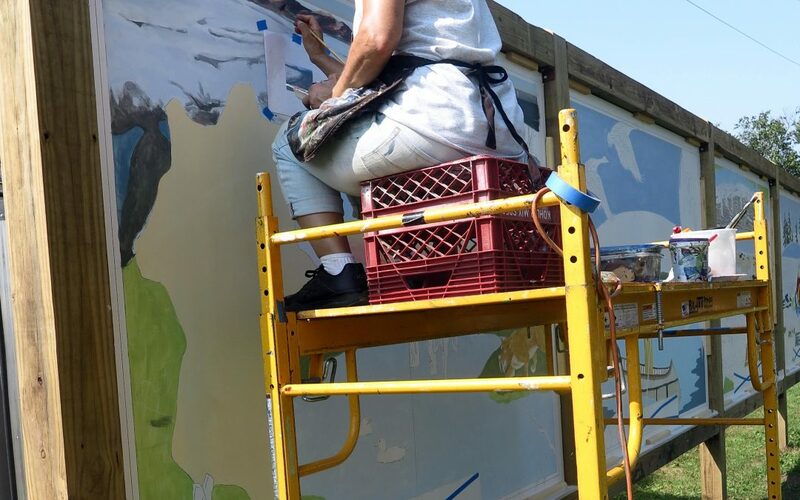 Over the weekend and after the rains stopped many local artists took part in the painting under Carole’s direction.